Cadd thinks he’ll spend his life working in the family bakery. Then the King’s soldiers come. The ancient Court Sorceress has foretold that he will escape the siege that tortures their town. Instead, he is captured by the enemy. A lucky accident saves him from death and sends him on a perilous mission. Plunged into an unfamiliar world, he needs all his resources and the love of a Princess to survive. But that love is based on a lie. Two Jewish boys picket a mean neighbour to get their ball back; a Bangladeshi man is desperate for a business plan; a black woman is fearful she will lose her job when she loses her childminder; a boy and girl-next-door find love in an air-raid; a middle class woman goes back to the council estate of her childhood; a racist youth and a black boatman are stranded on an island; the mother of a criminal family pins all her hopes on her youngest son. 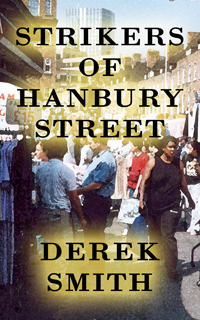 These simply told tales of East End life speak of pain and despair, survival and hope. 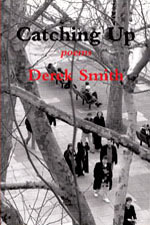 “Catching Up” is a collection of poems which contemplate a range of concerns; time and space, the hidden meanings in stories, meditations on war and the legacy of our environmental sins. A fantasy that begins with Toby in a dungeon, due to be executed for murdering his father, the king. His escape results in a hue and cry, instigated by his stepmother, the Queen. Toby must be caught and executed along with any who assist him. While on the run, he rescues a peasant, Far, and an aristocratic young woman, Orly, both of whom have had their families slaughtered. Class and passion complicate their relationship as they struggle to escape the marauding soldiers. Exhausted and battered, they find sanctuary in the cavern of a magician. 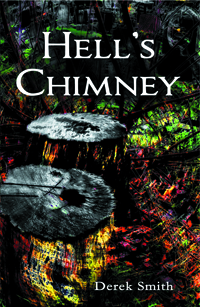 There, Toby is told he must go down to the Underworld, via Hell’s Chimney, to find the truth of his father’s death. 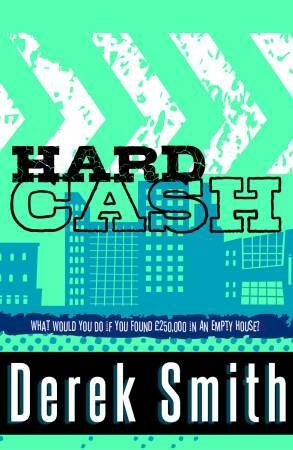 Shorty and Warby find £250,000 in an empty house. What should they do with it? Warby has dreams of owning a circus, while Shorty wants to get out of his run-down estate and be somebody. So they keep the money and dream as they count the cash. But finding a safe place to keep it is a problem. Then Shorty’s sister becomes suspicious at his big spending. Eddie who runs a stall at the market promises help – at a price. But can Eddie be trusted? Frances is so obsessed with football that she is banned from the girls’ team, and the local boys’ team The Tigers refuse to have her too. Then Frances has her great idea: by getting the right clothes and practising in her bedroom she becomes Frank, a tough macho boy. Frank is accepted by The Tigers straightaway and becomes their top goal-scorer. Joe is a good wolf. He can’t hunt or kill; in fact he’d rather pick blackberries. What a disgrace to the wolf pack! When he is thrown out by his Mum and Dad, he faces a world where no one believes there can be a good wolf. After all, everyone knows wolves eat sheep. And didn’t one try to eat Little Red Riding Hood and her Grandma? How can Joe convince animals terrified of him, or people who blast him with shotguns, that he is not the sort of wolf they are used to? Jack is a bus driver who has the strangest passengers: a dragon who insists on being driven to Wales, a ghost who haunts the upstairs, a witch who meets some troublesome children, a weatherman who brings foul weather with him, and a giant’s child who can pick up the bus with one hand… With all these problems, Jack keeps in touch with the bus station through Polly over his cab radio – and Mike, the mouse on his dashboard, helps out when he can. These 7 magical stories are just right for reading aloud, or for younger readers to read on their own. What is it about Lucy-Anne? Flying buses, talking snowmen and elephants in the back garden are just some of the adventures she stumbles upon in “The Magical World of Lucy-Anne”. As if being a little girl wasn’t exciting enough, “Lucy-Anne’s Changing Ways” sees her turning into a firework, a statue, an ant – even a book! What will she become next? And will Daddy ever believe her stories?